Police officers, acting on a public tip-off, have arrested a teenager after uncovering a huge cannabis farm in Padiham. Around 500 cannabis plants were discovered at a house in Burnley Road following a raid on Wednesday afternoon. 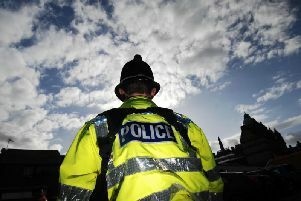 A police spokesman said: “Thanks to numerous members of the community passing information to the local neighbourhood police team, a drugs warrant was executed at an address on Burnley Road in Padiham on Wednesday afternoon. The boy, of no fixed abode, is currently being held on suspicion of two counts of preparing and selling drugs. The plants were discovered in several rooms of the house, along with cultivating equipment.